Last night, inside of the Downtown Las Vegas Events Center, Roy Jones Jr. 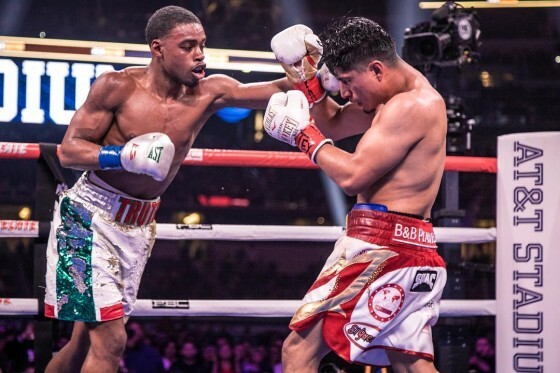 Promotions returned with another installment of their “Fight Night at the D” series, which saw former junior featherweight champion Rico Ramos defeat upset-minded Erik Ruiz over ten rounds. 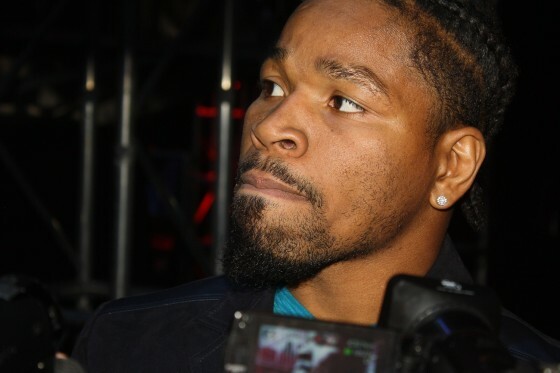 While the card was taking place, former IBF welterweight champion “Showtime” Shawn Porter could be found in attendance. 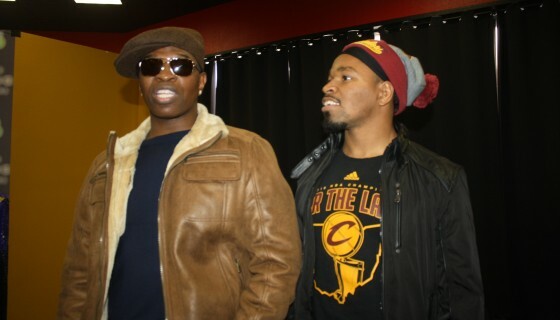 Always one to host interviews with the press, Porter spoke backstage with Hustle Boss and other outlets on the latest news regarding his career. On May 6, Mexican superstars Saul “Canelo” Alvarez and Julio Cesar Chavez Jr. will return to the ring against each other at a location to be determined. 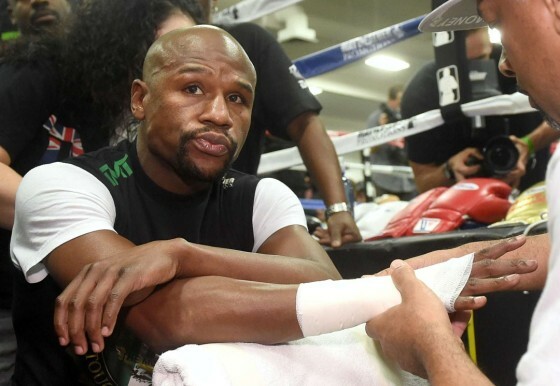 The two men are meeting at a catch weight of 164.5 pounds, with Alvarez rising from the junior middleweight class, where he holds the WBO title, and Chavez coming down in weight. 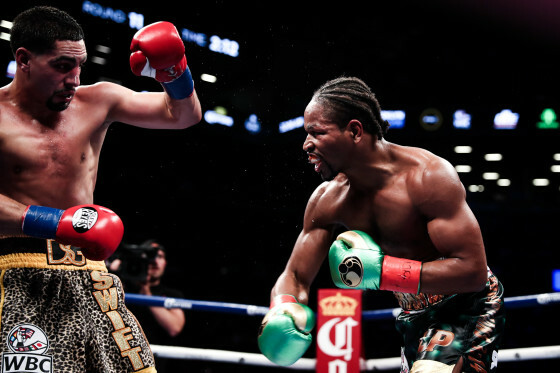 Alvarez (48-1-1, 34 KO’s) is expected to be the clear favorite over Chavez (50-2-1, 32 KO’s), who last fought under 167 pounds in Sept. of 2012 when he lost a unanimous decision to then-champion Sergio Martinez. 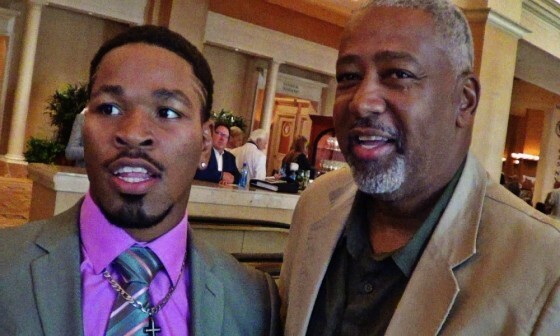 During a recent swing through the Cosmopolitan in Las Vegas, Hustle Boss crossed paths with former IBF welterweight champion Shawn Porter. 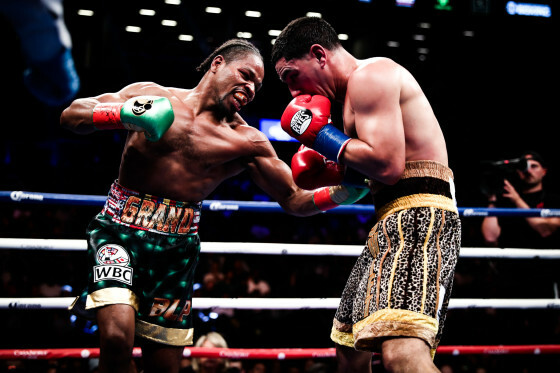 Porter (26-1-1, 16 KO’s) faces off with WBA welterweight champion Keith Thurman (26-0, 22 KO’s) on June 25 inside of the Barclays Center in Brooklyn, New York. 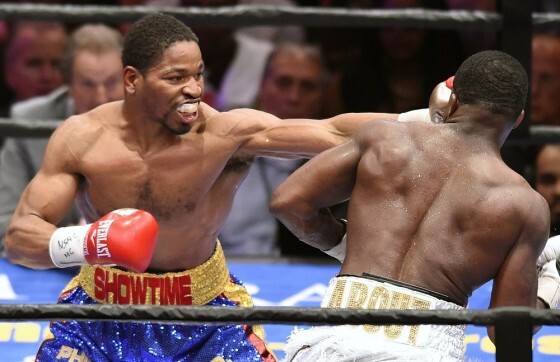 On Saturday, June 20, former welterweight titlist Shawn Porter (26-1-1, 16 KO’s) produced another strong performance in handling Adrien Broner (30-2, 22 KO’s) over 12 rounds for a unanimous decision victory. 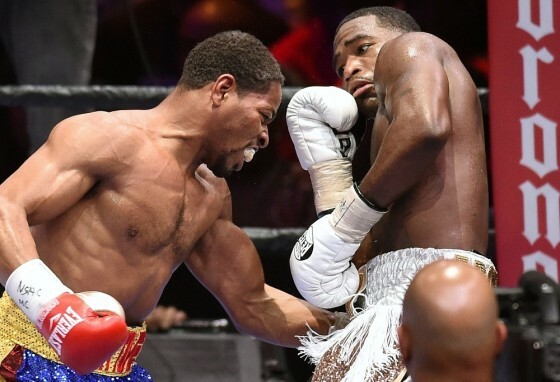 Porter’s sheer will and tenacity appeared to give Broner a lot to think about and Shawn proved himself to be the busier and more focused fighter in the ring. 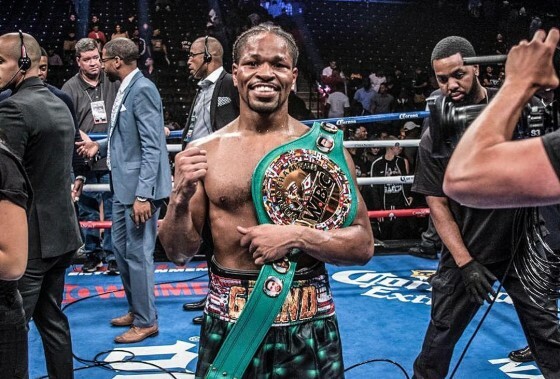 Scores of 118-108, 115-111, and 114-112 were all read in the Akron native’s favor, as he produces his second straight victory following his lone defeat to Kell Brook this past August. 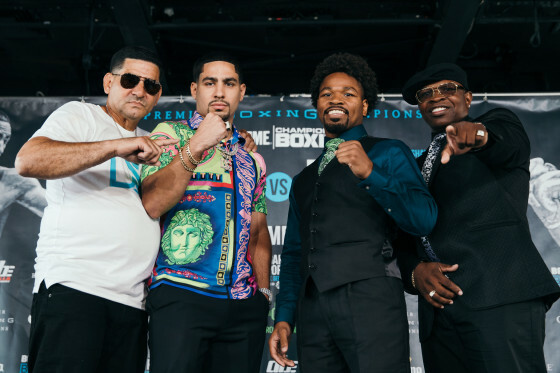 Photos from the MGM Grand Garden Arena in Las Vegas, Nevada as former three-division world titlist Adrien “The Problem” Broner (30-1, 22 KO’s) faces off with former IBF welterweight champion “Showtime” Shawn Porter (25-1-1, 16 KO’s) ahead of their NBC-televised duel tomorrow night. 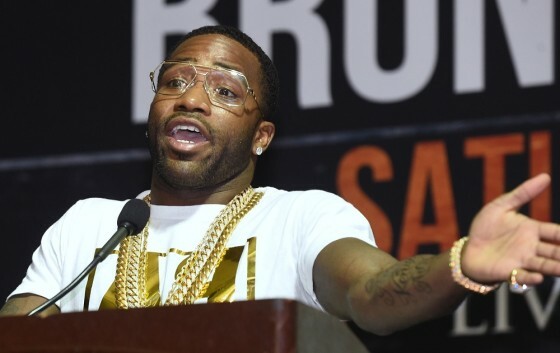 There has been some definite chiding and trash talk coming from Broner’s end and once again the Cincinnati native was in jovial spirits as the weigh in. 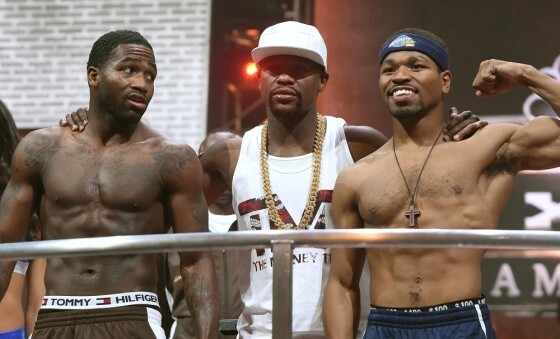 As for Porter, he remained calmed and collected, hitting 144 pounds on the dot while Broner hit the scales at 143.5 pounds. Good vibe inside of the MGM Grand Garden Arena on Friday afternoon as former world champions Adrien Broner (30-1, 22 KO’s) and Shawn Porter (25-1-1, 16 KO’s) weighed in ahead of their NBC-televised “Premier Boxing Champions” matchup from Las Vegas. 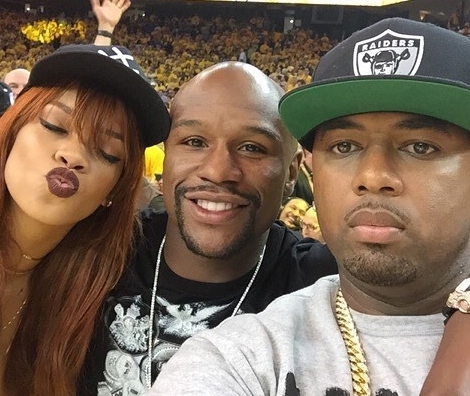 Adrien Broner is quite the character. 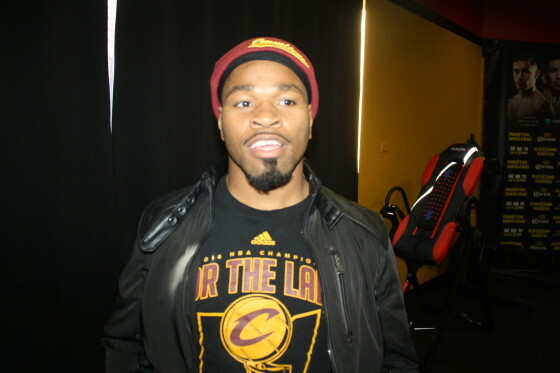 At Thursday’s final press conference ahead of his matchup with former champion Shawn Porter, the Cincinnati native continued to fire verbal bombs as the Saturday matchup nears. 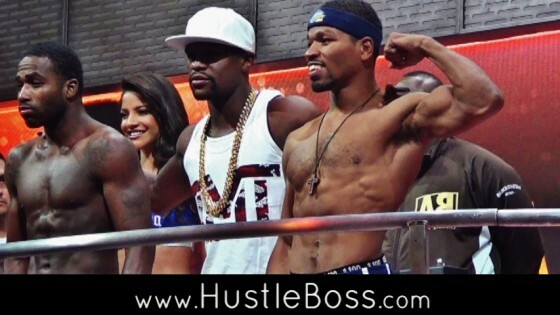 Hustle Boss was on hand inside of the MGM Grand Garden Arena’s Media Tent as former world champions Adrien Broner (30-1, 22 KO’s) and Shawn Porter (25-1-1, 16 KO’s) held their final press conference. 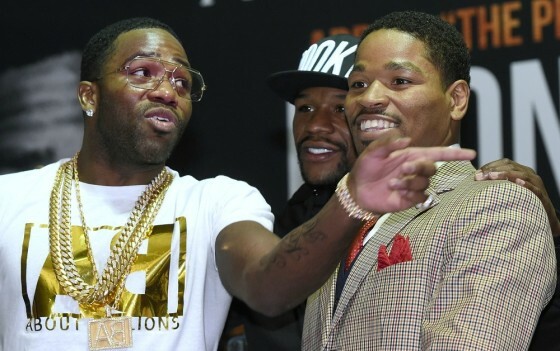 For Broner, it was yet another chance to sound off on Team Porter, as he continues to imply that father and trainer Kenny is the one running the show, even hinting that the star fighter’s father is keeping money from his son.